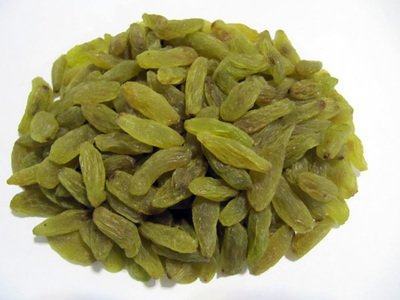 Long green raisins are produced from special variety of grapes which is known as Pekami. They are similar in taste to golden raisins, although the latter come from a different variety of grape than do typical dark raisins. Long green Raisins are available in two quality classes: Grade AA or Grade AAA RTU* Grade. Our Green Raisins are Double laser sorted, X-ray sorted and handpicked under BRC quality system.